The Aunties meet Ava Joy! 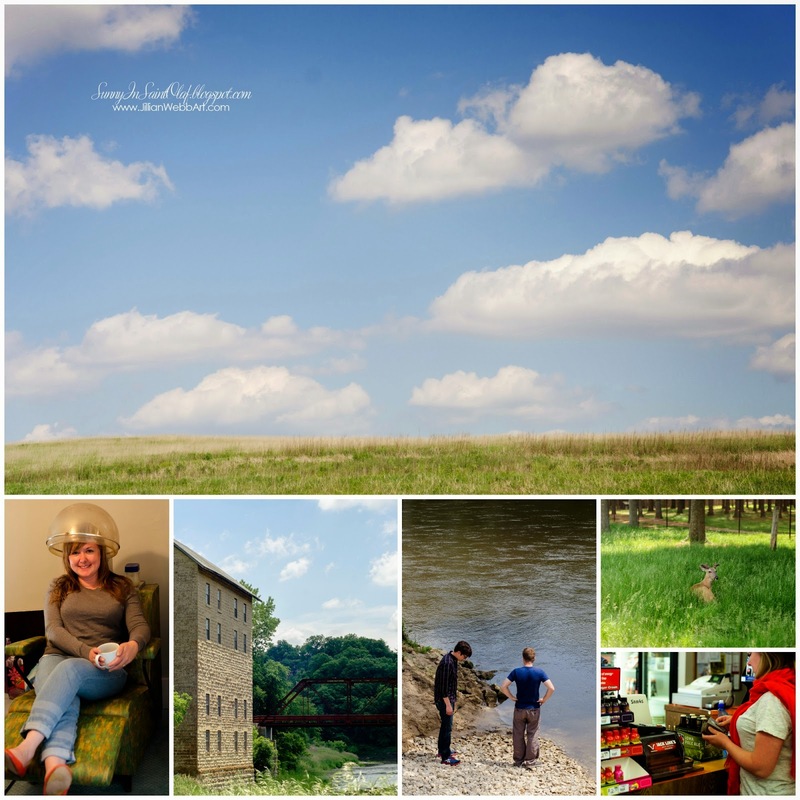 I must apologize for just now catching up on the blog; life has been busy and beautiful! In January, I visited and took photos as my dear friends prepared the nursery for their baby girl's arrival. I hated to leave just days before she was born, but I knew that I'd be back in May to meet her! While I was in North Carolina for the most part of May, I not only photographed a gorgeous wedding, but I also got to meet sweet Ava Joy! My friends packed up their little angel and drove down to North Carolina to spend the weekend with me, my sister Britt, and my parents. We relaxed, grilled out, made a trip to the most amazing farmer's market, and managed to take a few impromptu three-month-old photos of precious Ava! I think we have a Tar Heel in training! I couldn't forget to include photos from Ava's first trip to the farmer's market! I love these guys and couldn't be happier for their adorable new family! I cannot wait to take Ava's official six-month photos in August! Our laundry room reno is finished! 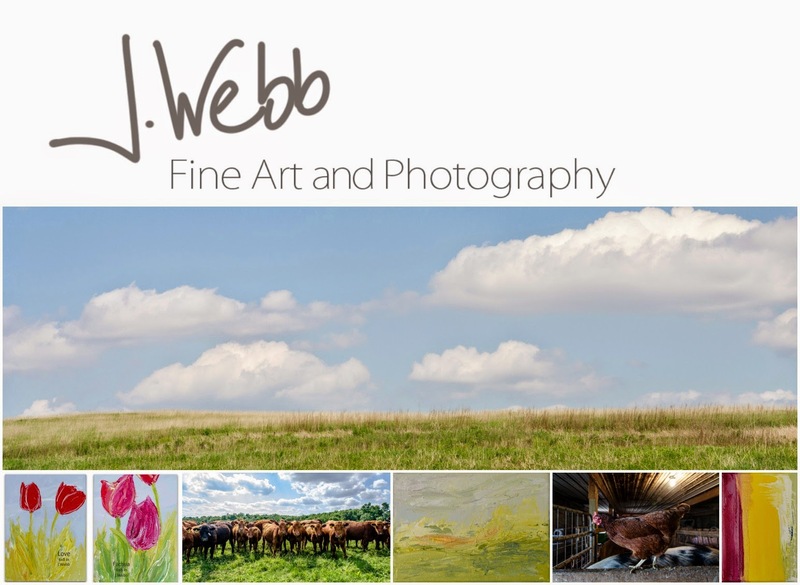 JWebb Fine Art and Photography: Coming Soon to Willow Creek in Elkader, IA! will be available at Willow Creek in Elkader, Iowa! While many of you have seen my work in North Carolina, on my website, and Facebook, come see me in my first IOWA location! Willow Creek is an upscale garden and decor boutique with big city style and country charm. Stop by the new location on Main Street in Elkader... the doors are scheduled to open this Saturday, June 21st 2014. What a fun way to kick off the first day of summer! Our friends from NC visit Saint Olaf! Our friends Cindy and Zach traveled across the country, from North Carolina to Wyoming. They took a couple of weeks to make the trip so that they could stop to tour national landmarks and visit friends on their journey. We were so excited when they asked to add Saint Olaf to their itinerary! 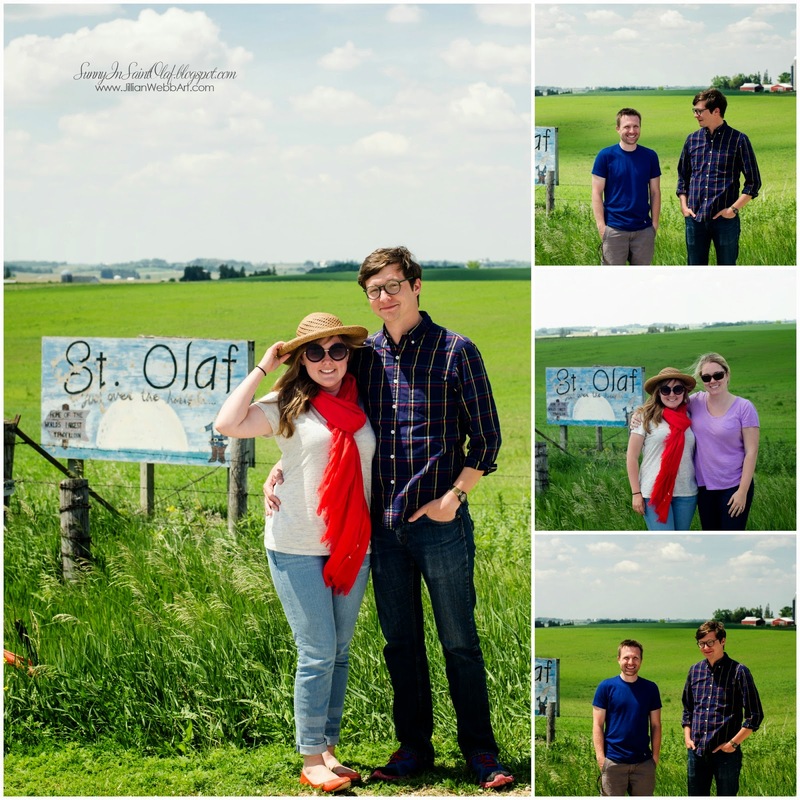 Visit us in Saint Olaf and we'll take YOUR photo, too! We showed them around town(s), shopped, ate, drank, and relaxed. and (hopefully) talked them into moving to IA! After an amazing tour, our wonderful neighbors gave us fresh ingredients for a magnificent meal.We enjoyed the best pork chops we've ever had... big props to my awesome grill-master husband! Cindy and I chopped up fresh spinach, beet greens, celery, walnuts, and dill straight from the garden. We topped our salad with homemade ranch dressing and washed it all down with a cold beverage. Amazing! the prairie behind the farmhouse. We had such a great time visiting with Cindy and Zach and showing them around our new home. We also did our best to talk them into a move of their own! In the meantime, we hope they'll come see us again! I flew to North Carolina in April to photograph the marriage of Kristen and Mark. I've known Kristen since sixth grade and I couldn't be happier she's found the one (and he is totally awesome!). It seems like only yesterday we were roaming the halls of Ledford Middle, and now here I am traveling to document the precious details of their big day! I arrive at the Marriott in downtown Winston-Salem, where the girls are prepping. With camera in hand, I walk into the spacious suite and Kristen is already glowing. Her hair and makeup untouched, she laughs when I tell her she looks amazing. Throughout the morning, Kristen keeps calm, though I can certainly feel the excitement building. Colleen, Kristen’s stylist and lifelong family friend, prepared Kristen for pageants when she was only four. Colleen is fabulous. I photograph as she curls, pins, and artfully applies makeup to Kristen and her bridesmaids. Wow, these girls are breathtaking! I photograph as Colleen and Victoria help the beautiful bride into her wedding dress. Victoria isn't just an awesome sister; she’s Kristen’s best friend and Maid of Honor. I can feel the support and love in the room as Kristen is surrounded by her bridesmaids, her family, and her soon-to-be family. While the bridesmaids tie up last-minute details, the guys are at the church having their photos made. You can tell these guys go way back as they mess around and find their own photo-op idea… Dead End!? I’ll admit, it made a cute photo. A big thanks and shout-out to Katie Wright for assisting me on the whole wedding day and for getting these great shots of the guys! We make sure the groom is nowhere to be seen as the van with our bride pulls up to Saint Leo the Great, Catholic Church. Kristen’s home church is magnificent. The stained glass windows reflect down the mile-long aisle, the pews fill with friends and family, music rings throughout the sanctuary, and the processional begins. The whole church looks toward the back as Mark catches his first glimpse of his bride. She is stunning. 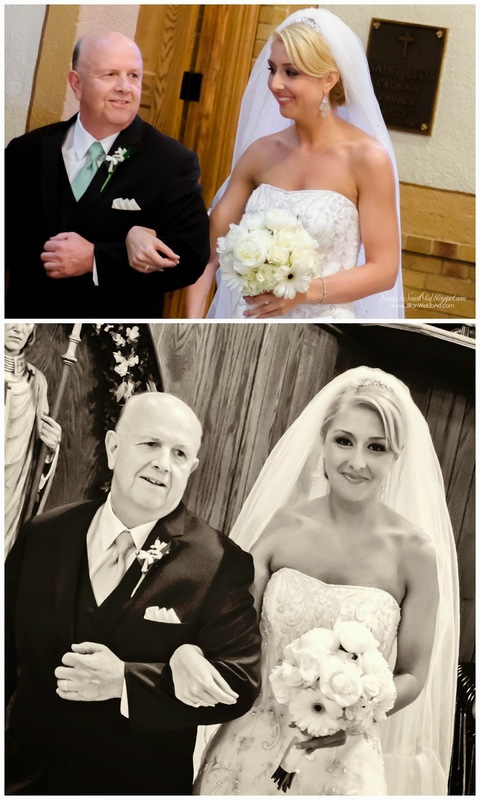 You can see the joy in her eyes as she turns to come down the aisle on her dad’s arm. I literally get goosebumps thinking about it! 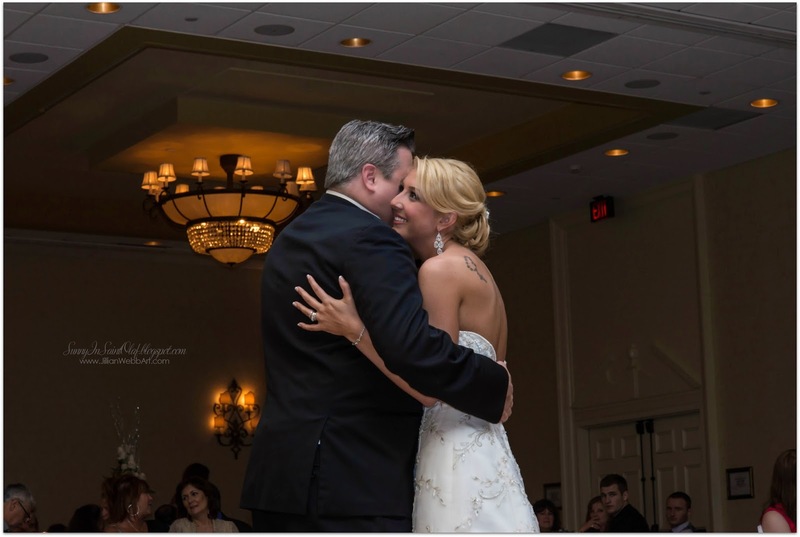 The ceremony is truly beautiful, the homily a gift of wisdom, and the kiss… wow, that first kiss! Mr. and Mrs. Tatro are announced before their family and friends, husband and wife! After a few formal family photos in the sanctuary, the guests and wedding party head back to Cherry Street for pre-reception photos and cocktails. This gang is ready to party, and party they did! The energy that filled the dance floor was amazing! The DJ was fantastic and kept the dance floor filled all evening. I have to say, Mark and Kristen’s friends and family know how to get their groove on! 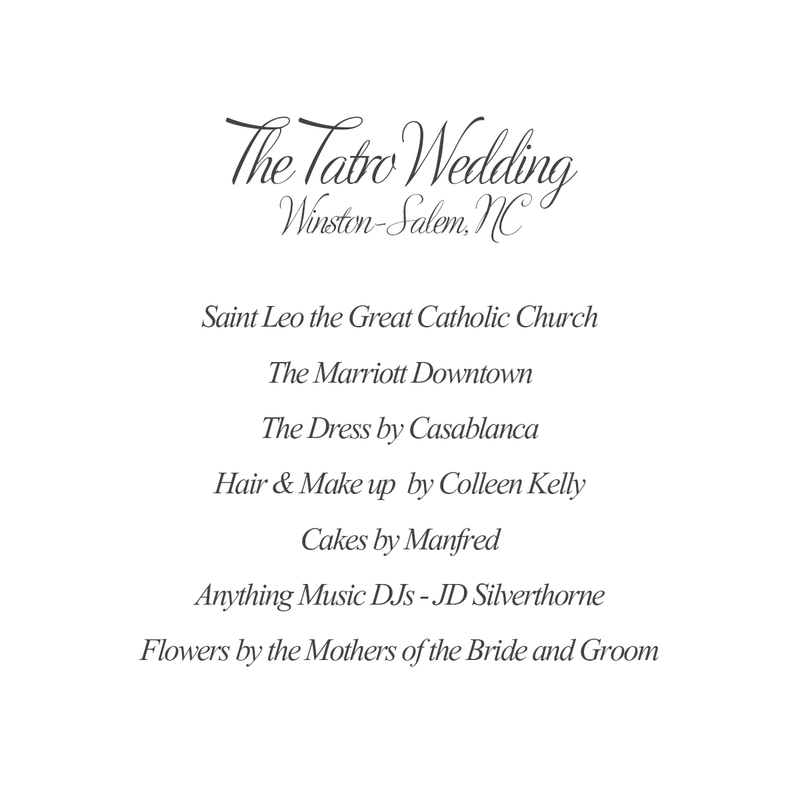 I thoroughly enjoyed each exquisite detail of Mark and Kristen's Winston-Salem, NC wedding! 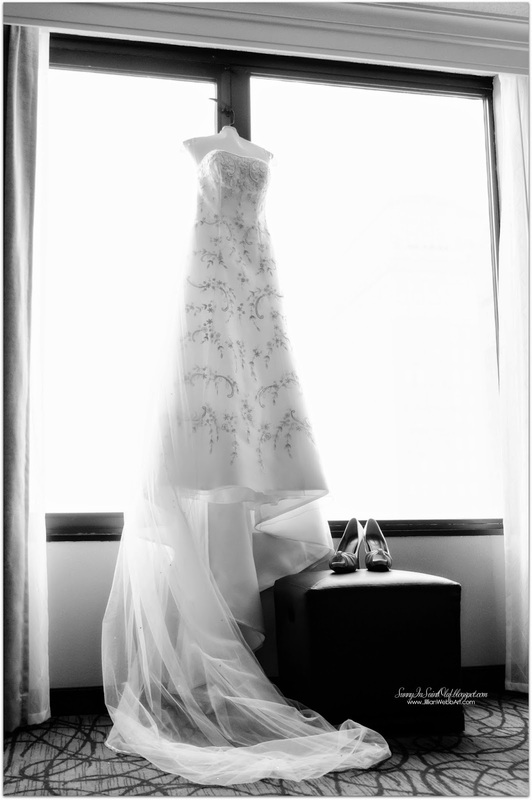 It was such a privilege to capture these special moments on your wedding day. You both looked AMAZING! 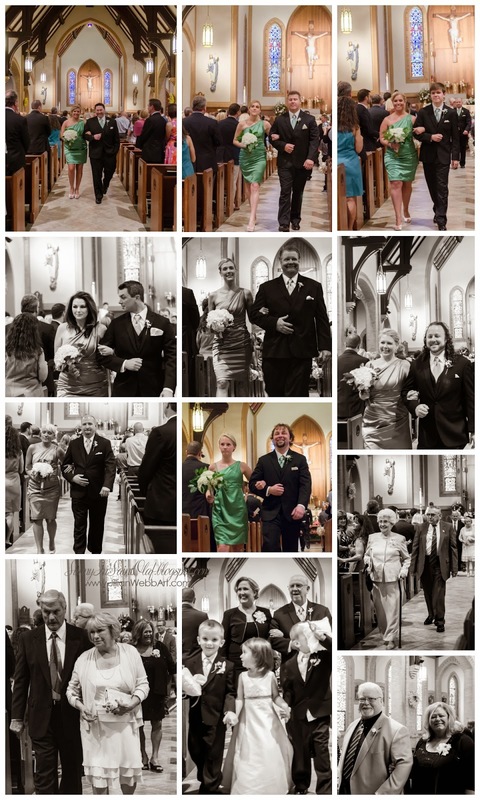 You were an absolute pleasure to work with and I was so honored to be part of your big day! From the bottom of my heart, I wish you two the happiest of years and a lifetime of love. I want to say a big thanks to Katie Wright for assisting me with great photos, a fun spirit, and calming energies on the wedding day! It was great working with you!